OUTSIDE - Leading from the lounge (through double glass doors) is the 12m pool with crystal clear water. Sunloungers, chairs and tables are provided on the tiled terrace. The perfect place to spend the day with the backdrop of the olive grove, or sit and relax in the evening after a day at the beach or a day exploring the region. Family owned - we were brought up and educated in England and have lived in and around London for most of our lives. Within the family is a wealth of talent in both property development and hospitality. We pride ourselves on high quality development and on ensuring that those who require our services are satisfied with the 'end product'. A bit of a folly! The family was looking for an overseas property to compliment the rental properties that we own in London and the South of England. The parameters were simple, we were looking for a location within Europe in an 'up and coming' area and flight connections within one hour. Puglia appeared to be the ideal location and after having explored the surrounding area we fell in love. Sensibly priced, was also a key word and although we spent way over the top on renovating / modernizing the property, the building itself was a 10th of property values in the north of Italy. Peaceful, secluded, relaxed, sedate. Just a break from the hustle and bustle of city life. Of course that means that there is not a large variety of local facilities. If you are looking for clubs, discos, masses of tourists, etc. you will be disappointed. If on the other hand you are looking for peace and quiet with great local food and wine you will have a great smile on your face! 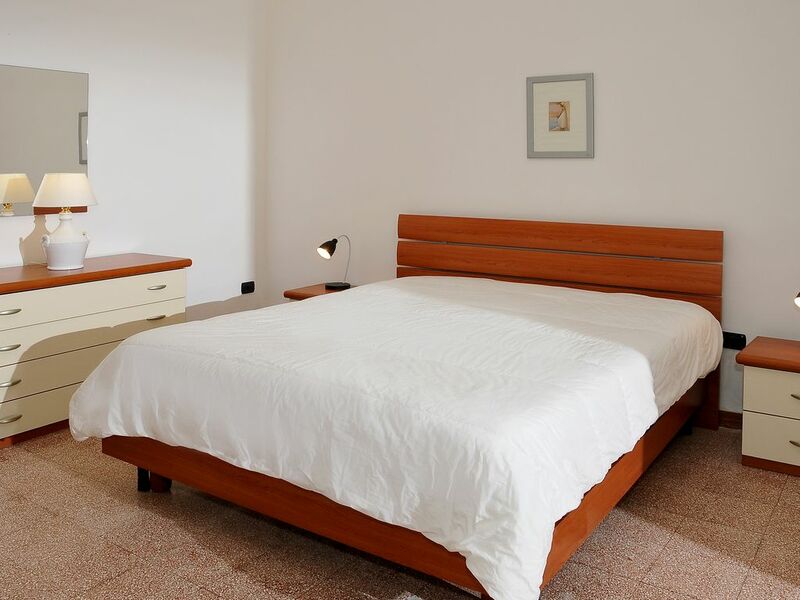 A very spacious and very comfortable villa in a rural area, near Nardo in Puglia. The villa offers a perfect mix of traditional domed farmhouse style rooms coupled with very spacious modern living rooms ideally suited for a large family or group of friends to holiday in comfort. We enjoyed many meals sitting out by the pool overlooking tge villas own olive grove. The local Town of Nardo is a short drive from the house with classic Italian architecture, classic town square with several excellent cafes, restaurants and gelato shops! We enjoyed plenty of meals out ranging from great loxal pizza to fine dining (and people watching in the square with gelato & coffee). The local facilities at Nardo have really improved over recent years in terms of tge range of shops & supermarkets etc for everyday needs. The larger City of Lecce & the beautiful Southern Italian Coastal towns are all within 45 - 60 mins drive making this an ideal base for exploring Puglia. Thank you very much for your review of our villa and of the surrounding area. When there, we also very much enjoy sitting out by the pool watching the sun go down over the olive grove. Yes, Puglia is an amazing area to explore, so far unspoilt by mass tourism. Landlord very kind and available. Also very good advices about the area and good address from Luca. Armelle (via Stefano Filoni) G.
House exactly as shown in the pictures. No trouble, everything was perfect. Thank you for your review, we are so pleased you enjoyed the house and the surrounding area. We will ensure that Luca (our guardiano) receives the praise he deserves, he is always helpful and enjoys speaking of the area in which he was born and raised. Villa Uliveto ha soddisfatto tutte le nostre aspettative. È molto spaziosa, confortevole e ben organizzata. Luca è stato molto gentile e solerte su ogni nostra richiesta. Grande maison spacieuse, cuisine bien équipée , mais très très isolée. Bien placée pour les plages. La maison n’est pas très belle extérieurement. Situation géographique très bonne. 20 minutes de Lecce. Merci pour votre aimable critique, oui la maison est très isolée et pour beaucoup c'est une caractéristique positive - Détente. Nous conseillons à tous nos clients qu'une voiture soit essentielle. Casa perfetta per gruppi numerosi, spaziosa e luminosa. Isolata e riservata per i più rumorosi. Vai con il karaoke e pool party! In posizione geografica comoda per raggiungere sia Punta Prosciutto sia Gallipoli e le zone più meridionali del Salento. Unico neo la difficoltà nel conferimento dei rifiuti. Grazie, siamo molto lieti che vi sia piaciuto la nostra bella villa. sforzo considerevole è fatto per garantire che i nostri ospiti di rilassarsi e apprezzare l'ambiente tranquillo. Thank you, we are very pleased that you enjoyed our beautiful villa. Considerable effort is made to ensure that our guests relax and appreciate the peaceful surroundings. abbiamo passato tre settimane indimenticabili nelle villa uliveto. ci è piaciuto molto. la casa, le stanze ed i bagni sono spaziosi. anche la piscina va benissimo per così tante persone. per arrivare in città e al mare c'è bisogno di una macchina, ma sapendo questo non c'è problema. il barbecue fuori è troppo bello.... noi, sicuramente ci torniamo un altro estate. Puglia is very much untouched by the mass tourist market which invades the northern resorts of Italy, hence the pace of your visit will be much more relaxed and a more 'authentic' Italy is there to be discovered and of course the climate is ideal for those loving the outdoor life. Nardo is a small, quiet and sleepy centre dating back over 1000 yrs; there are shops, restaurants, and bars around the periphery and these will provide everything required during your stay. For those with a bit more appetite for activity, the warm Mediterranean offers some lively resorts; Santa Catarina and Porto Cesario are 10 minutes drive from the Villa and In season these are typically Italian and buzzing with activity. There is a local karting track and further afield water park. One thing for sure, you will eat well and healthily in this region; meals are a way of life and the fresh local produce is savoured in a ritual which can take hours. Wines are predominantly bold, fruity and powerful. We require a security deposit of €500.00 this is paid directly to the agent on arrival and will be returned on departure (after deducting electricity charges) assuming that there is no damage to the villa and its equipment. Electricity is charged at 0.35 Euros per kilowatt Linen is optional and is charged locally by the agent. Please calculate circa 15.00 per person if required.